With lows in the 40s and highs in the 60s, we finally are having some fall weather and it felt right to finally make some of my must-try pumpkin recipes. I thought pumpkin chili was the perfect way to celebrate our cooler temps! In a large pot, brown onions and ground beef. Once brown, add the pumpkin, kidney beans, tomatoes & sauce. For the spices, I added everything “to taste”–starting with (about) 2 tsp. chili powder and 1 tsp. pumpkin pie spice, a sprinkle of cinnamon and brown sugar. Let simmer for 30 minutes to 1 hour (stirring occasionally). I ended up adding a little more chili powder & pumpkin pie spice. To the mix, I added just under a 1/2 C milk, 1 beaten egg, 1/2 C pumpkin, 2 tsp. brown sugar, 2 tsp. pumpkin pie spice, and a little extra sprinkle of cinnamon. Neither the chili nor the muffins had an overwhelming pumpkin taste, but just a slight hint of those yummy fall spices & flavors. They were both great ways to use some of my mass quantities of pureed pumpkin from Halloween. Another huge plus–the house smelled wonderful!! Not only will I make these both again, but will do big batches to freeze. These will both be great to have on hand in the freezer for quick meals this fall & winter! Nice. Heck, recipes are just mere guidelines anyway. So just in case you need anyone to sample any of your "experiments" I'm volunteering to be one of your laboratory mice! Pumpkin chili is my favorite kind of chili. Your recipe is so similar to the one that I love to make. Yum! Visiting via the weekend wrap up. This looks amazing, I have never tried pumpkin chili before. We love cornbread so I am sure this will be a winner with my crew. mmm! I never would have thought of this as a use for pumpking but I can't wait to try it! 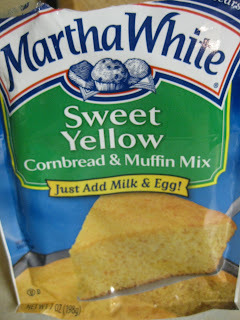 I tried pumpkin cornbread too and loved it. I'm on a pumpkin spree as well. I just posted pumpkin spice thumbprints on my blog and have a list just like you of other pumpkin must-try recipes. This week I intend to make pumpkin gingerbread and pumpkin molasses cookies. I'll have to keep an update on your pumpkin posts so I can get more delicious ideas. I'm now following you on Facebook.